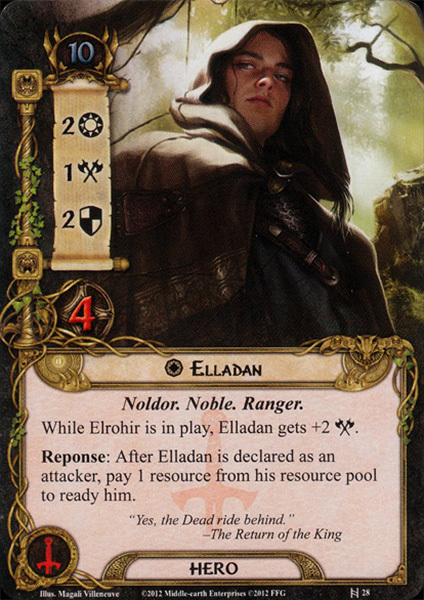 While Elrohir is in play, Elladan gets +2 . Response: After Elladan is declared as an attacker, pay 1 resource from his resource pool to ready him. "Yes, the Dead ride behind."